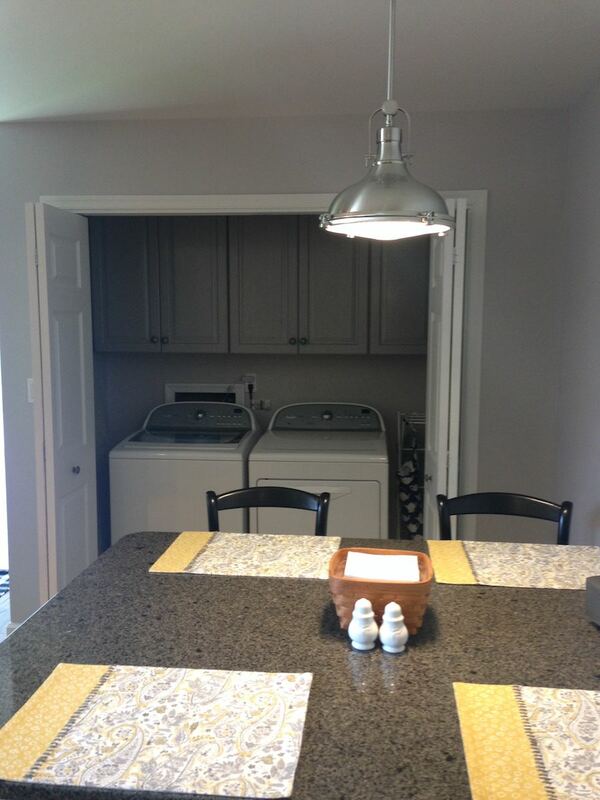 Functionality is key when working with clients aging in place. 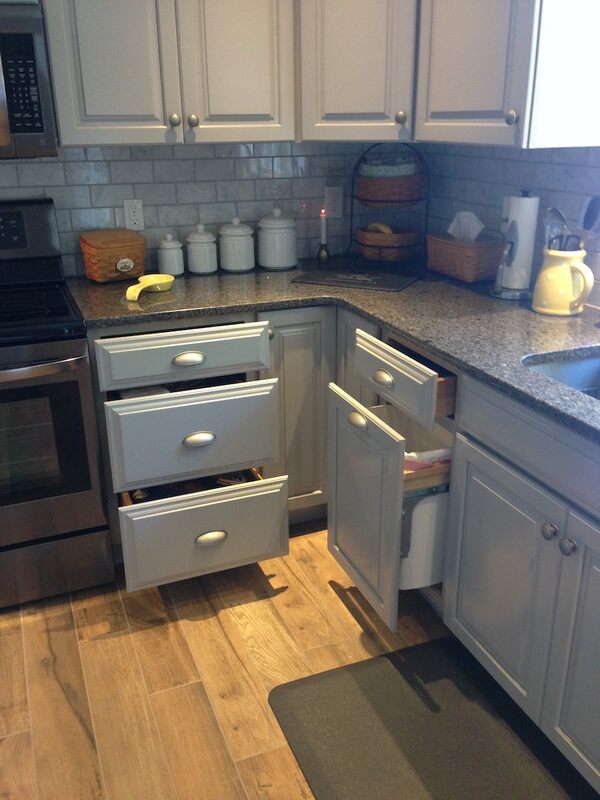 Not only is it important to maximize storage space, but everything must be easily accessible. 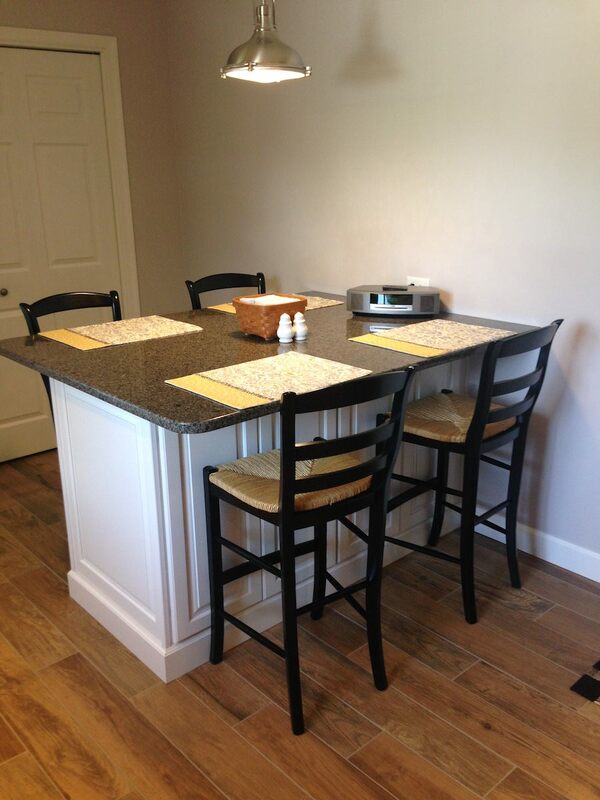 And we can’t forget to make the space look beautiful, too! Holcomb Cabinetry met with clients in Pennsville, New Jersey, who needed help redesigning their kitchen. 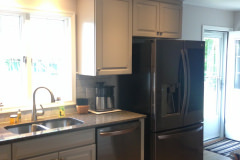 They wanted more space for cooking, cabinets that made storing appliances a breeze, and a space that would make doing laundry easier. 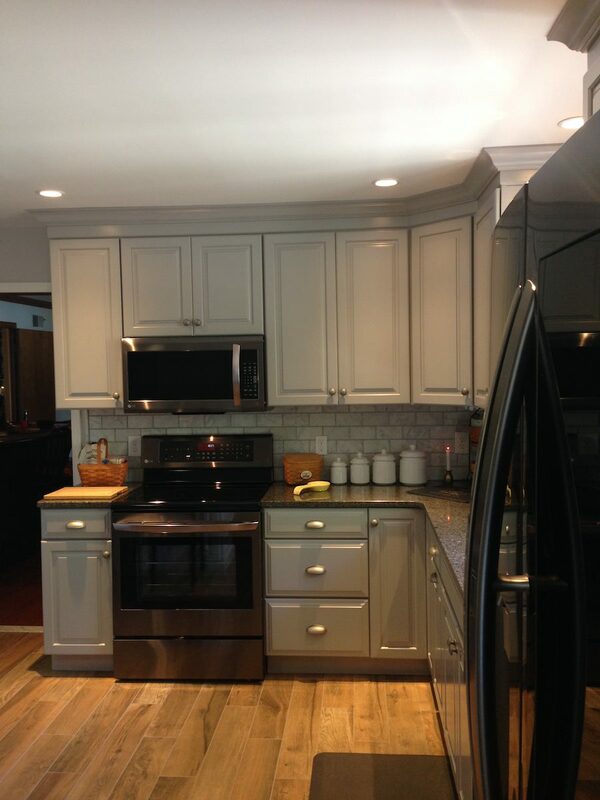 We came up with a beautiful new design, using grey cabinets with a raised panel to create an attractive look without making the kitchen feel too “modern”. 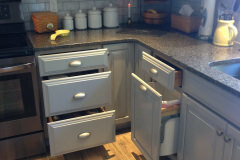 The drawers are soft close, which require only a gentle nudge to make them slide closed without a sound. 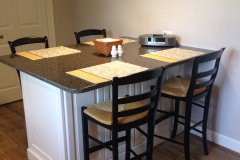 We also built a peninsula instead of an island, creating more counter space without ruining the flow of the room. 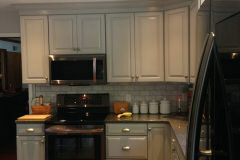 The white cabinets on the peninsula added a nice contrast to the rest of the grey in the kitchen. 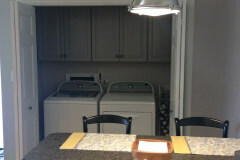 The laundry appliances were moved just off of the kitchen, in an easily accessible yet secluded space. 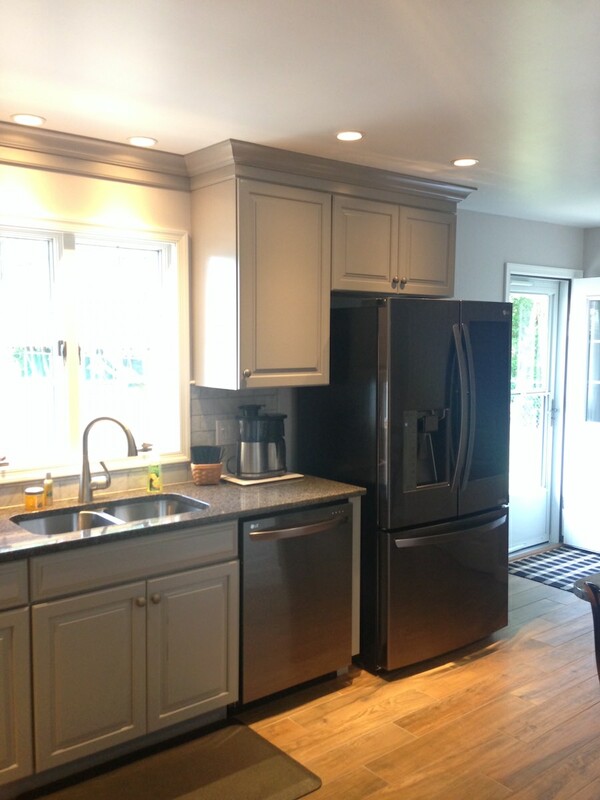 By making this kitchen a dual-functioning area, we cut back on the need to move from one end of the house to the other just to get chores done and meals prepared. 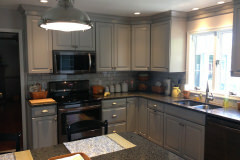 Holcomb Cabinetry has all of the tools you need to create the perfect kitchen for your lifestyle. 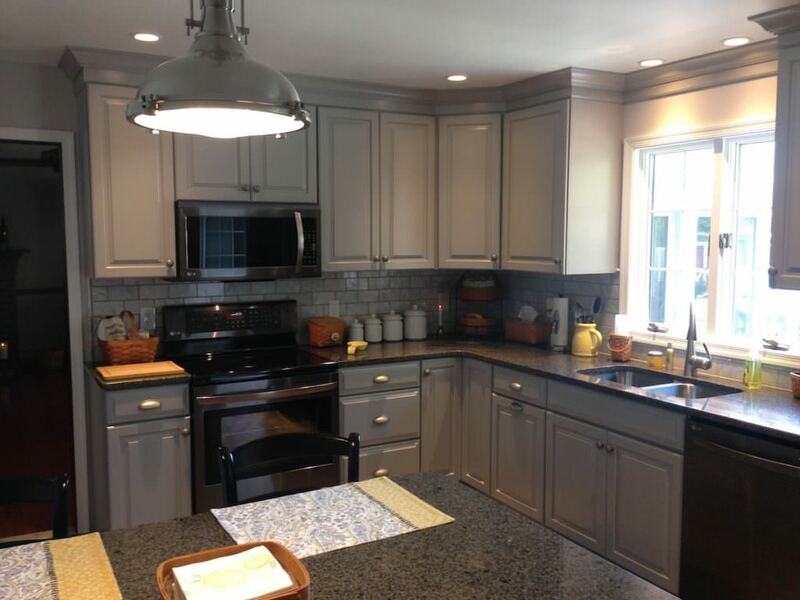 Stop by our showroom and see what’s in store for you! Contact Holcomb Cabinetry today to schedule your showroom tour.